While it isn't yet as easy to upgrade your ride as it is to swap out your phone, getting behind the wheel of a new car is within your reach. As regime changes go, a new lease is a relatively good idea, provided you have about $200 per month to spend. Each month, we highlight the new car deals that won't break the bank, and January is no exception. Some folks argue that the best time of year to buy a car is around the holidays, but most of December's deals carry over into 2017 -- and some are even better. Behold all that you can afford. Remember, these figures below are only the advertised deals. With some skillful negotiation, you can often do even better. Ask about reducing or eliminating the signing costs, if your credit is top-notch, or negotiating the monthly rate itself. Check back for updated deals as they appear. At the time of writing, there are fewer advertised deals than usual, which is why companies like MINI and Volkswagen are entirely absent. Check back for updated deals as they appear. 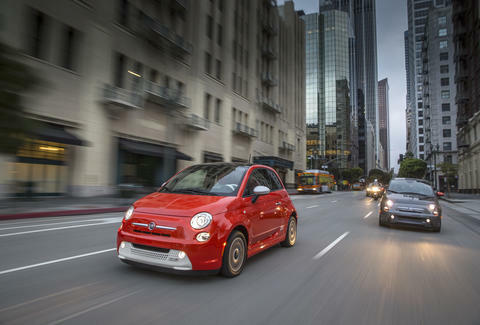 FIAT's lease deal essentially offers a nearly free 500E electric hatchback. For approximately $2.30 per day, you can lease the pure electric 500E. After $2,499 down, your monthly payment is essentially one meal at a nice restaurant... but it gets better. At at least one dealership, that $2,499 down covers the "clean vehicle" rebate -- you could get the entirety of it back from Uncle Sam in certain states. 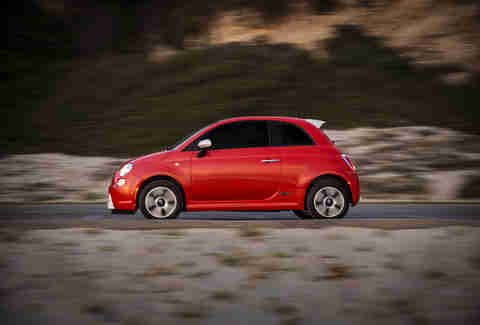 Factor in electricity from renewable sources obtained at off-peak hours, and running this FIAT is damn near free. If you live in California or Oregon (check on your own state to be sure) and still haven't jumped on this deal, what's wrong with you? Please: Do yourself a favor and lease a Mazda3 sedan. The most satisfying compact sedan is also among the most affordable in the class. 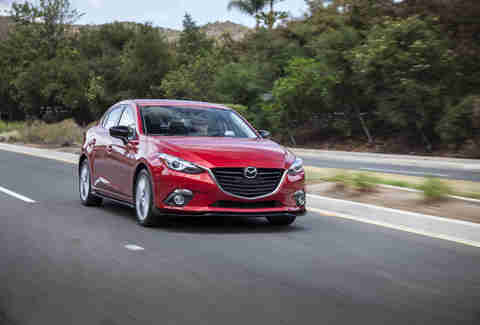 For $159 per month, Mazda's small sedan dances dynamic circles around its competitors: Its handling feel and general driving behavior are very much the part of a more expensive and refined product. Just $20 more gets you the added trunk space and more shapely rear of the the Mazda3 hatchback. Pick either. You'll thank us later. 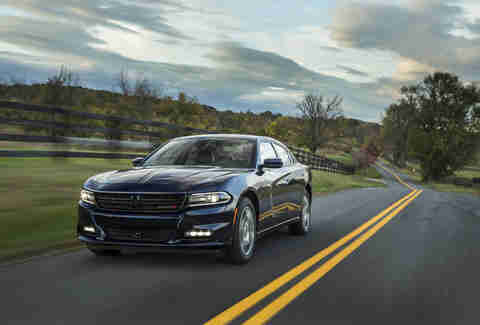 No, this deal isn't for the 707hp Hellcat (what a deal that would be), but the Charger SXT AWD is well-equipped and can hold its own on the highway. Its 3.6-liter V6 is a sweetheart, and all-wheel drive is a useful assist when the weather turns nasty. Beyond the Charger, it seems that FIAT Chrysler Automobiles is trying to offload a selection of its 2016 models at bargain-basement prices. Check out the Dodge Challenger SXT at $149 per month, or the bevy of cheap Jeeps on the list below. 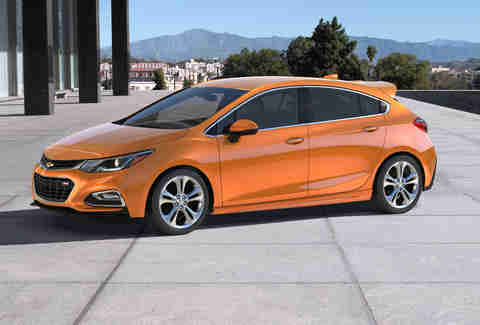 Right out of the gate, the Chevrolet Cruze hatchback is a smoking value. (It's so fresh out of the box that we haven't even driven it yet!) For just less than $175 per month, you get European styling, a 1.4-liter turbo engine that offers more punch that its 153hp would suggest, and 22.7 cubic feet of cargo space -- and that's before folding down the rear seats. It's rare that a great deal on paper encompasses so much real-world value. Ford's deal on its remaining 2016 inventory of F-150 pickups isn't a fire sale, but it's an opportunity to snag a full-size truck at a midsize price. Pickup trucks aren't usually attached to such short lease terms -- in this case, two years -- as owners tend use their trucks for the long haul. 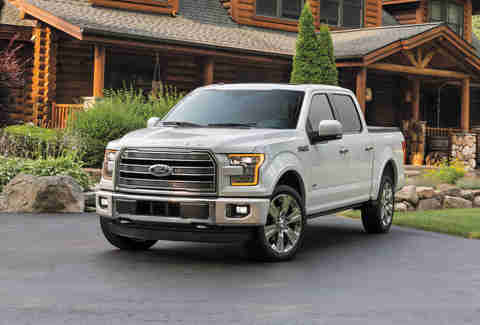 But if you need large-scale towing, hauling, and mall-dominating capability and are anxious for the redesigned 2017 F-150 (and hybrid) to arrive, this is a worthy conduit. 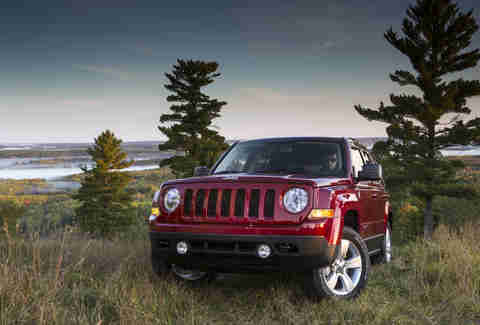 You can practically count the number of cars sold in America with a manual transmission on your digits, and you'd probably be surprised to learn that the most basic Jeep Patriot is among them. While it's not up to the same driving standards of its all-American 4x4 brethren, it offers space for five, good looks, and reasonable fuel economy: Think of it as a modern-day beater, and there's little more fun than a vehicle you don't have to care much about. 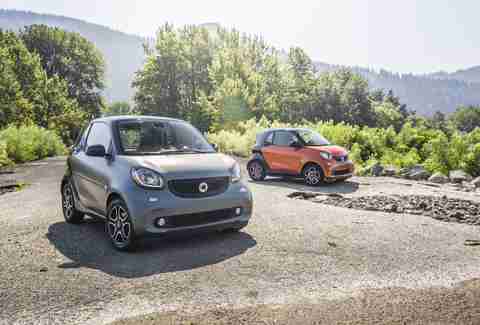 The last time we looked, the monthly lease rate for a fortwo was $139, making this smart a 35% wiser decision in January. If you're parking as much as you are driving, and your commute involves slicing through tight spots in traffic, the fortwo makes a heap of sense. Grab a buddy, keep your luggage at home, and venture out into the city. Jeff Jablansky is a contributor to Thrillist Cars, and he's always searching for the best deals. Once he finds them, all he wants to do is talk about them. Pay close attention @unclewithcars.